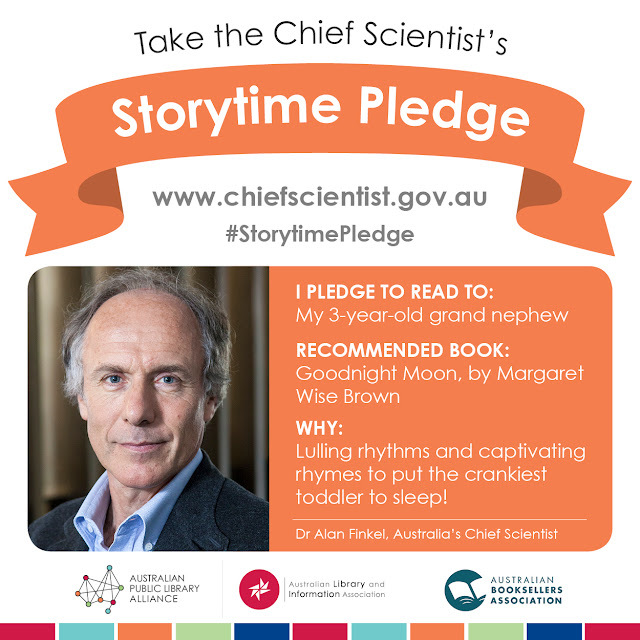 Australia's Chief Scientist, Dr Alan Finkel, has challenged the country to take his Storytime Pledge by sharing a book with a child in their life. Read what Dr Finkel had to say about the importance of books and reading to the STEM industries here. You can also follow Australia's Chief Scientist on Facebook and Twitter for book recommendations.